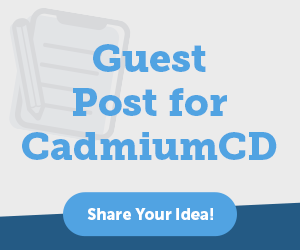 FOREST HILL, MD – CadmiumCD, a leading event technology provider, has announced that its submissions and review software, the Abstract Scorecard, now has WCAG 2.1 Level AA accessibility compliance on the submitter portion of the website. This update is one of many in the software’s latest release. The company is hosting a webinar on 4/18 at 1:30pm ET to address these changes. What is WCAG 2.1 AA Accessibility? According to the World Wide Web Consortium (W3C), “Web Content Accessibility Guidelines (WCAG) 2.1 covers a wide range of recommendations for making Web content more accessible.” Its goal is to, “make content more accessible to a wider range of people with disabilities, including accommodations for blindness and low vision, deafness and hearing loss, limited movement, speech disabilities, photosensitivity, and combinations of these, and some accommodation for learning disabilities and cognitive limitations” (source). These are internationally recognized guidelines, and the most recent standards published in June 2018 (WCAG 2.1) are backward compatible with the previous 2.0 standards. WCAG 2.1 has three levels of compliance (A, AA, AAA) – CadmiumCD has received compliance under the AA level. Why is 2.1 better than 2.0? She also says 2.0 was released in 2008 when smart phones weren’t so smart and less prevalent, and that 2.1 takes these devices into account. While these standards are not required by law for private companies, the EU does require all public sector websites to adhere to WCAG 2.1 equivalent standards (source). This includes products sold to or used by public sector organizations. For now, US public sector sites only require 2.0 standard, but will likely adopt 2.1 standards in the near future as more organizations understand the need for modern accessibility standards. Capiaghi says CadmiumCD will be prepared when this happens. Why is CadmiumCD incorporating these standards into its technology? W3C champions the belief that “the Web is fundamentally designed to work for all people, whatever their hardware, software, language, location, or ability” (source). What else was updated in the latest version of the Abstract Scorecard? The ability to include Google Translate on pages. New review assignment options and more tools to allow clients to easily copy previous events. Mobile responsive design on the submitter site to improve the experience on mobile devices. Where can I learn more about WCAG 2.1 Accessibility and CadmiumCD’s Abstract Scorecard? CadmiumCD is hosting a webinar on 4/18 at 1:30pm ET to discuss the benefits of WCAG 2.1 Level AA accessibility standards and how they were applied to the Abstract Scorecard. Follow this link to register for the webinar. A recording will also be available after the webinar has aired. An introduction to WCAG 2.1 standards can be found on the W3C website. CadmiumCD has created a resource for clients who would like to uphold WCAG 2.1 Level AA standards, which can be accessed here. 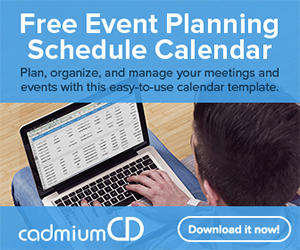 CadmiumCD is an event management software company with more than 15 years of experience providing solutions for Meeting Planners, Exhibition Organizers, Education Directors, and Attendees. The company’s award-winning platform is trusted by more than 3,500 meeting professionals worldwide to collect, manage and share content to all event stakeholders. For more information visit www.cadmiumcd.com. Michael Doane is a writer, marketer, and web developer who has fallen in love with the events industry. At CadmiumCD he teaches meeting planners about the benefits of event tech. As Marketing Manager he also has the unique pleasure of telling the company's ever-growing story. In his spare time he hikes, travels, and writes novels about ordinary people doing extraordinary things. Mike currently lives in Harford County Maryland with his wife and three pets. Subscribe for weekly ideas & insights on planning and managing conferences, trade shows, meetings, and more.